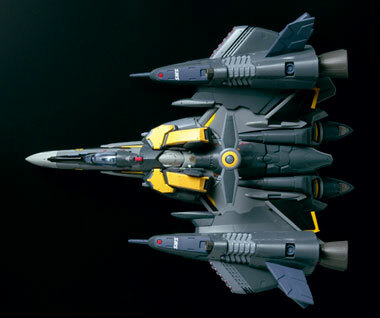 Bandai will release the DX Chogokin Armored VF-25S Messiah of Ozma Lee in 1/60 scale this August 2009. 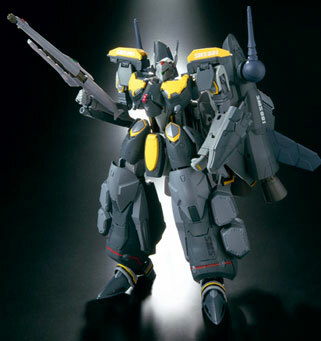 It is basically a VF-25 equipped with armored packs with the colors and trimmings of the SMS Skull Squadron Leader. The color trimmings of Ozma Lee are Yellow and Gray. 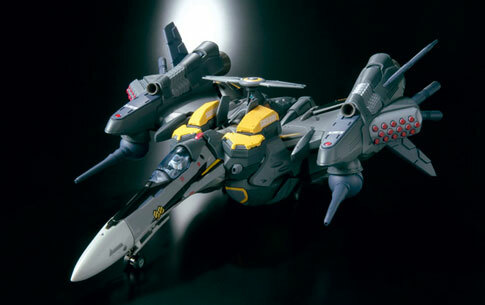 The VF-25S Messiah appears in the Macross Frontier series of the Macross Franchise. Judging from the images, the toy doesn't seem to have any nuclear missiles included in the kit. 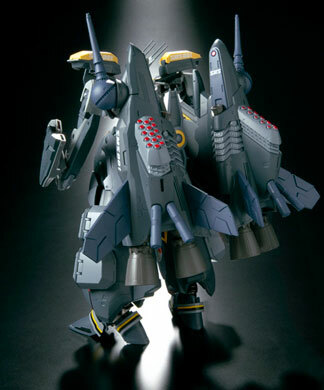 The 1/72 model kit of Ozma Lee's VF-25S Armored Messiah comes with the nuclear missiles, this kit also comes from Bandai. Its retailing right now for 17,100 at Hobby Search and 18,000 at Hobby Link Japan, 13,192 yen at amiami. 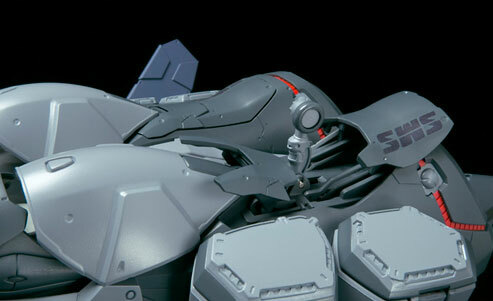 As part of the toy's gimmicks, the missile hatches and cannon turrets in the armored parts are movable as well as the armored parts found in the landing gear hatches. 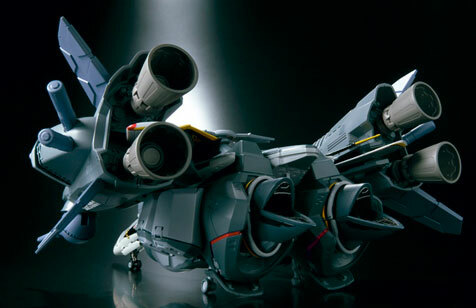 This mecha can boast that Macross Frontier Creator and Mecha Designer, Shoji Kawamori, took special interest during the production stage to ensure that the toy followed closely his design for the VF. The model stands about 23 cm in height and used POM,PVC, ABS plastics and die-cast metal as its material of construction. 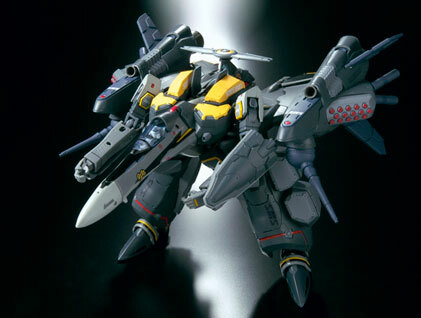 Included with the kit are Ozma Lee's VF-25S, Ozma Lee pilot figure, Gun pod, fixed parts for the gun pod, Knife, as well as the armored parts. The armored parts meanwhile consist of the armored chest, 2 micro missile pods, 2 arms armor, Leg armor parts, waist armor, 2 sets of intake armor, leg armor, dorsal radar radome, 2 wing section Booster and a display stand.